In a room full of differing opinions and hungry stomachs, these aren’t the words you expect to hear. But Todd Traynor-Corey, Alaska Airlines director of onboard food and beverages, means it. 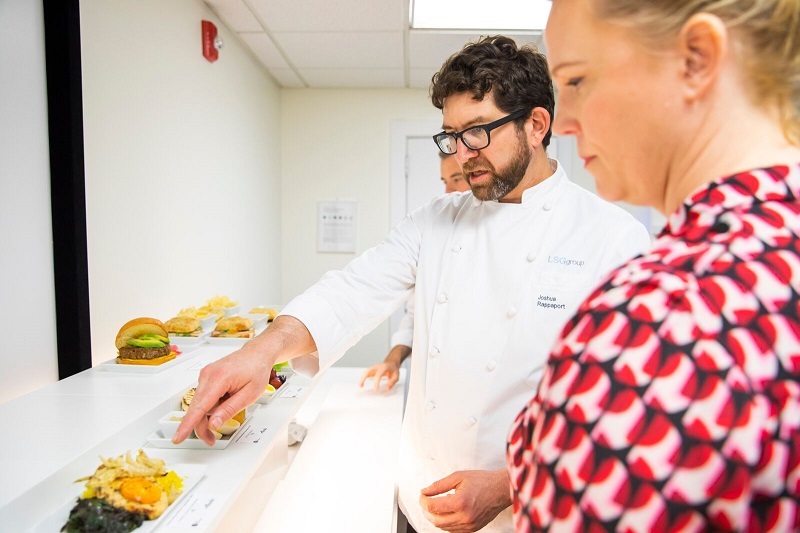 Traynor-Corey and Alaska’s menu creator, Joshua Rappaport of LSG SkyChefs, take notes and keep the samples coming. Many of the dishes will be revised – or won’t make the cut. 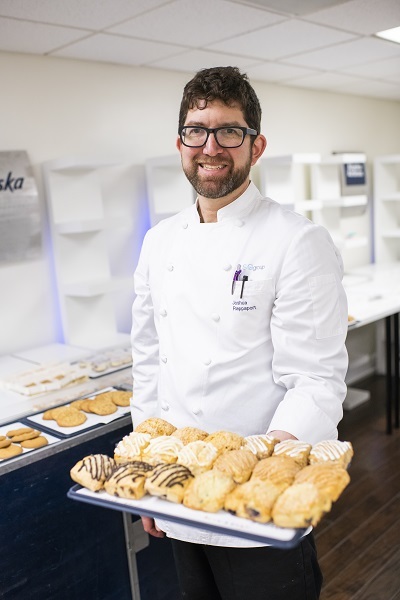 It’s all part of the process behind Alaska Airlines’ top-ranked rotating, seasonal menus featuring fresh and local ingredients. Taking a page from Virgin America’s book, we believe research is key in order to ensure our food is relevant. Rappaport spends as much time traveling and eating as he does in the kitchen. Growing up eating his mom’s homemade bread, spending his high school years in a restaurant with an organic garden on site and working at Seattle’s Four Seasons Hotel, Rappaport is no stranger to fresh food. Yet, he’s always looking for ways to perfect the art of fresh at 35,000 feet. Despite these challenges, he says it’s a big misconception that airplane food can’t be fresh. Our latest menu features fresh ingredients that define the West Coast, such as artichokes, tomatoes, asparagus, berries and avocados, as well as artisan breads. Feel-good snacks are also available for purchase, including vegan/dairy-free popcorn, low-calorie dark chocolate almonds, organic potato chips and all-natural beef jerky. 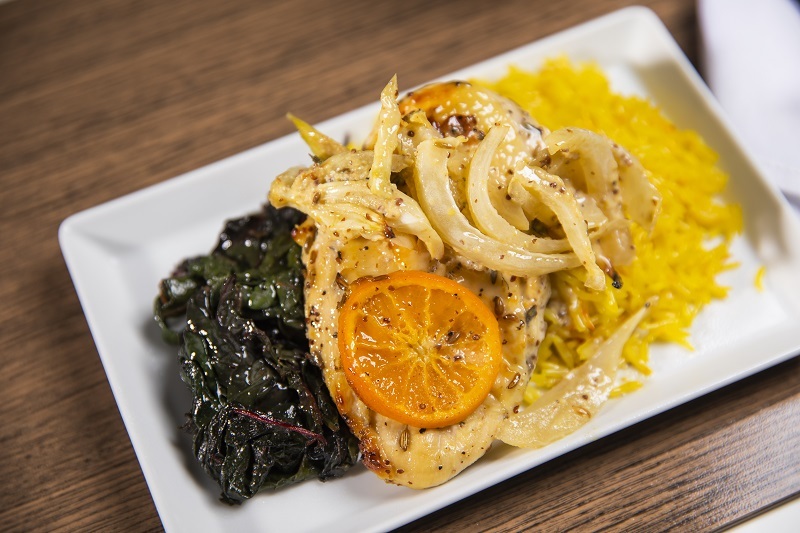 One of Rappaport’s favorites is a chicken dish, marinated in sliced clementines. It’s served on saffron rice and sautéed chard with roasted fennel on top. 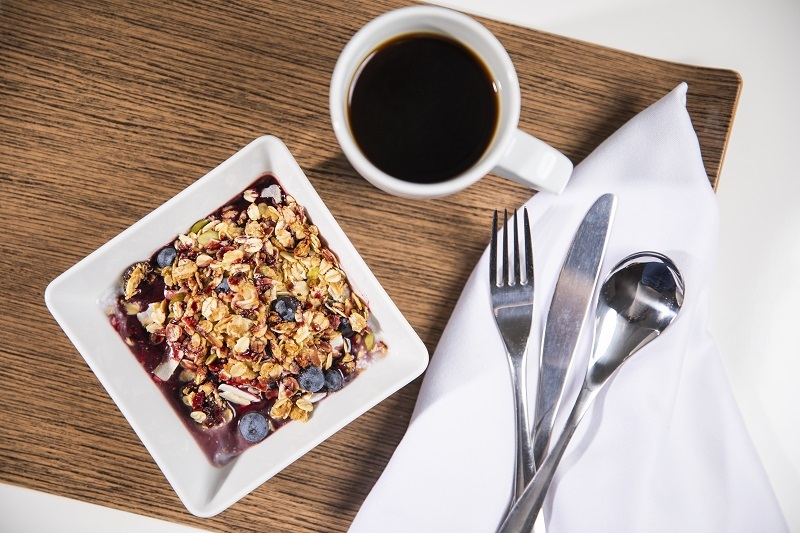 With the most nonstops on the West Coast, our latest menus also reflect more California food influences. While there’s no industry standard for fresh and local in the sky, it’s not something we’re veering from anytime soon. 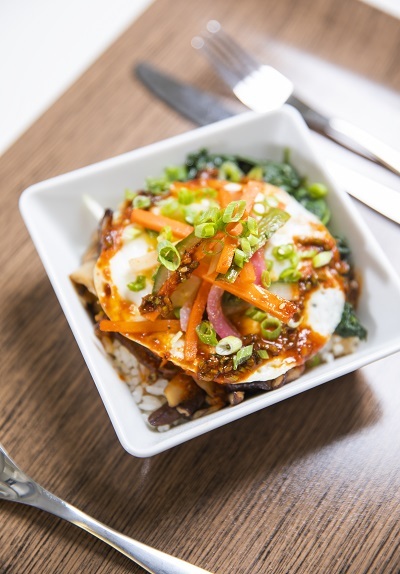 “Bottom line: we want to serve food that makes you feel good about what you’re eating,” Rappaport says. 20 comments on "Fresh, local, feel-good: Airplane food with no compromises"
More vegetarian options would be great! I look forward to the toasted nuts on evey flight, However I noticed in the last year they are only offered occasionally. Please bring them back! Loving Alaska overall and flying with them a lot, though I hope one day Alaska will consider serving Kosher, at the very least in their premium / first-class cabins. Something I have yet to see missing on other carriers, in particular on long-haul cross-country flights! The salads on the Virgin planes were yummy. Alaska had them for a little while. Bring back the chicken salads? We love salads too and feature them often in our menus. I got to try the Fall Harvest Salad yesterday and highly recommend it! I find the food on AS subpar to even other domestic carriers let alone foreign airlines. Which is a real shameful as in the 90s you got salmon in economy. Now a days you cant get salmon even in 1st class just disgusting chicken dishes. Which is weird as its in a Seattle based airline you would expect fish on offer. When i flew out of bos you think that they would partner with popular local chains like Kellys to offer fav food offerings like roast beef or lobster rolls. Please bring back a morning Helena, Mt flight. So I don’t have to stay in Seattle on the way to Orlando or the East Coast. Last couple of times in First class to Hawaii and back I was disappointed with the food selection. First of all they only carry 4 of each even though one may may be as popular as the other. The obsession with serving beef and pork makes it difficult for those of us who don’t eat either for religious or ethical purposes. A lot of breakfast dishes are unnecessarily contaminated with bacon or pork. Also from Hawaii wouldn’t you want to serve Fish as one of the entrees at least? Please serve more mainstream food in First class. We are not like the olden days white male business traveler looking for artery clogging food. Yum! The food looks good. I’m looking forward to my next Alaska flight. More vegetarian options are great! I agree whole heartedly about the snacks! When you get on a flight that just serves snacks in first class something besides an offering of a bag of chips would seem appropriate. Great idea to borrow some ideas from the Virgin America play book. Keep upping your game! The concept of serving sugar/salt loaded snacks in FC are a recent offering. I have flown Alaska over 2 million miles since 1994. 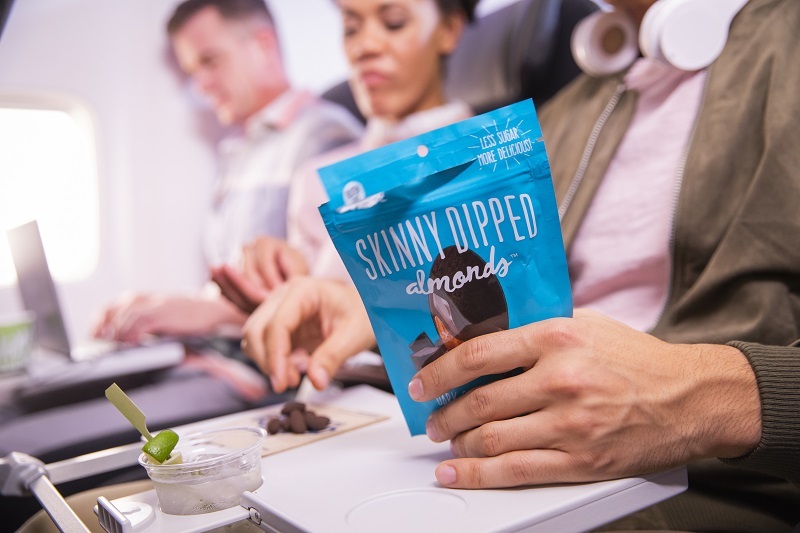 Most flights that serve the “grab a snack out the basket” used to serve a salad or a veggie offering or a sandwich. I recently flew 4 segments in FC over 2 days and not one offered anything to eat of substance. The “snack basket” has been recently extended to flights over 2 hours that leave after 8 pm, where before you might get a nice sandwich with a salad. Unfortunately, It has come down BYO healthy alternative any time you see the word “snack” in the FC meal category on a flight. All of these ideas sound good, but it doesn’t matter if you do not deliver. On my last trip from DFW to SEA, you did not even have the signature item in your printed menu. I had to get a similar, but much smaller and less desirable selection for about the same price. Try delivering what you do all of this expensive research and advertising on. Talk is cheap. Start delivering on your talk and I may consider flying on AlaskaAir again. For the moment, I will fly on Southwest and purchase what I want to eat prior to boarding. This is not as handy as getting food delivered on the plane, but at least I can get something I want, and in many cases, at a better price. Hi Joel. Thanks for the honest feedback. Have you tried pre-ordering your meal? We’re focused on limiting food waste, so this is a great way for our guests to reserve their favorite menu option. I wish you would carry White Zinfandel wine, I happen to like a sweeter wine, the ones you carry aren’t sweet.